Simply Washrooms were delighted to once again compete in the British 10k London charity run. 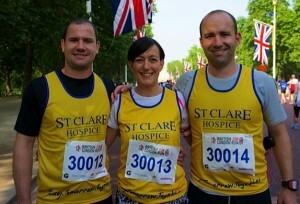 Andrew, John and Lisa raised an impressive £960 for St Clare Hospice, Essex. The individual care and support that St Clare Hospice offers its patients and families is incredible and we look forward to continuing our support.